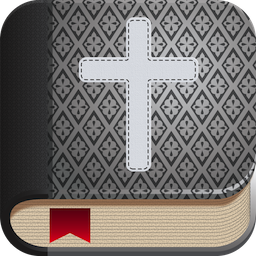 The complete collection of 15 classic daily devotionals available from Tap Tap Studio in a single app. This app will be updated with additional devotionals when new ones are released. Get this app if you don’t know which devotional app to choose. Remember to take time to read and reflect on God's Word daily. Read them anywhere and at anytime. It's as easy as checking Facebook, Twitter or Instagram. Encouraging - I have really been encouraged each day as I've read this devotional. It has often helped me to remember God' attributes and character and realize He is all I need. My family has used the Daily Light for devotions for years. I love having it in this mobile form. It's a wonderful way to begin the day and to end the day. This is a very meaningful and helpful daily devotional book for my ipad. I love being able to have all my devotional readings and Bible apps on one device. ... This is especially nice when I travel, to not have to take numerous books. ... I highly recommend this devotional to anyone who loves God's Word and is serious about their daily walk with The Lord. I use this app everyday and really love the layout, it’s starting to feel like ‘home’ when I open it every morning. I especially like being able to bookmark the days I really enjoy as well as leave notes. You can also copy the text and paste into FB or into another Bible App. Spurgeon is fantastic and always encouraging and practical. Very thankful to have found this app.. Truly wonderful, enlightening and gives me a great smile to start my day off! Have been introduced to the NET translation through this app. which I think is wonderful translation. There is no better devotional than the Word itself. The Daily Light is an inspired work. What a privilege to have access to it from my iPad and iPhone.